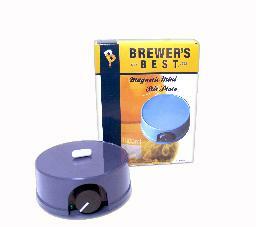 Brewers Best Magnetic Mini Stir Plate will make the perfect addition to your brewing arsenal. Great for general stirring and making yeast starters, these stir plates have an adjustable speed dial and come complete with; power cord, stir bar, extra fuse and a set of detailed instructions. Pair it up with the 500 to 1000ml flask with a stopper and airlock and you are set.